Why did I put my compost pile so far away? 15 Dec 2013 Comments Off on Why did I put my compost pile so far away? 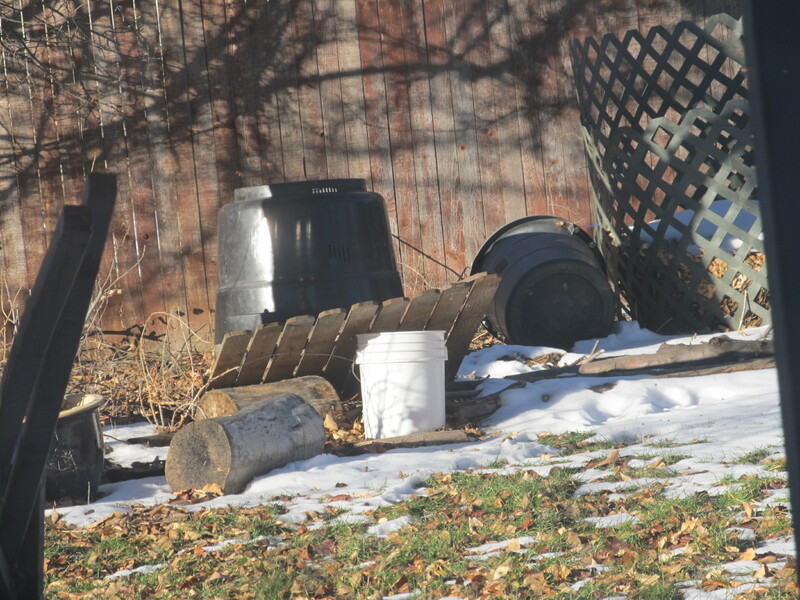 That black bin…way over there…that’s the compost bin. It has been really flipping cold. Pardon my language. I keep my orange peels and coffee grounds in a big plastic cup on the back of the sink. If I have to put on boots and a scarf and assorted warm woolies to dump that cup, it just isn’t going to happen that often. The next time the temperature gets above 50, I’ll move the bin closer to the house. Like, right by the back door. Previous Rematch! Next Is it Spring yet?